Welcome to Wondergarden, Auckland’s newest and most exciting New Year’s Eve musical extravaganza. Wondergarden is a home for Aucklanders who who don’t want to escape the city this New Year's eve. It’s a place for friends, families and party people of all ages, and music lovers from all walks of life. 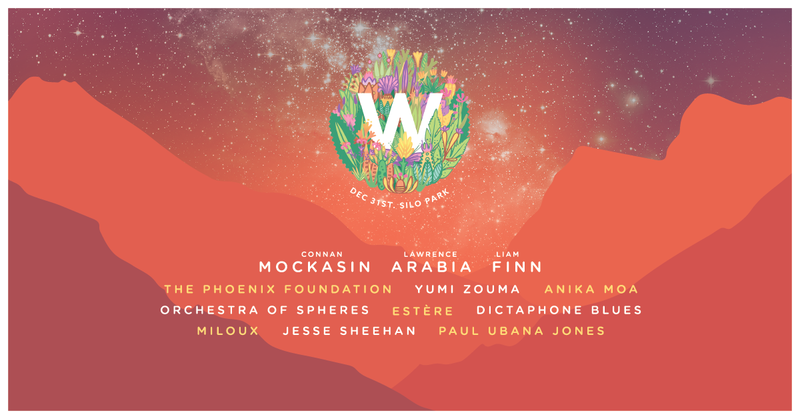 Wondergarden is a musical and visual celebration with an all-local lineup curated from New Zealand’s finest and most exciting artists. As well as a full afternoon and evening of main stage artists, Wondergarden features roaming performers, children’s performers and entertainment, lighting installations from Angus Muir Design, and New Zealand’s most sumptuous street food all spread across one wondrous day and eve at one of the city’s best loved places, Silo Park. A 2.5% surcharge will apply to all credit card transactions at the gate.